This past Tuesday, my parents came up to take us out for a belated birthday dinner for my husband. 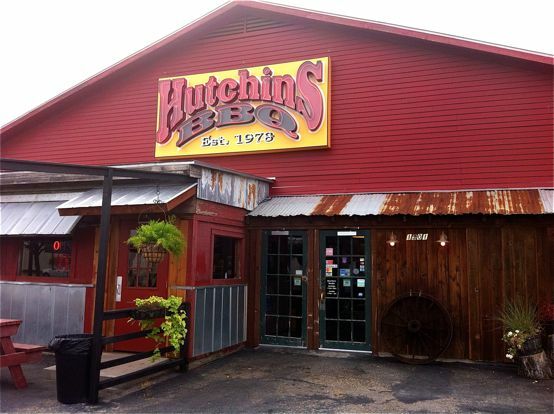 He LOVES barbecue, and there was a place that my mom had been wanting to try here called Hutchins BBQ. 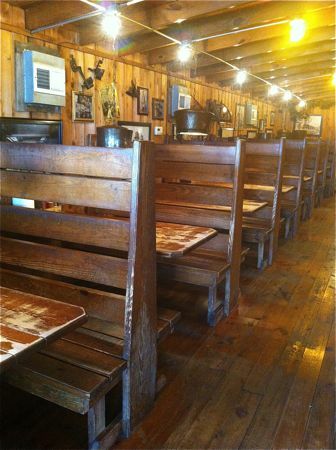 Texas Monthly magazine rated this place as one of The Top 50 BBQ Joints in Texas! 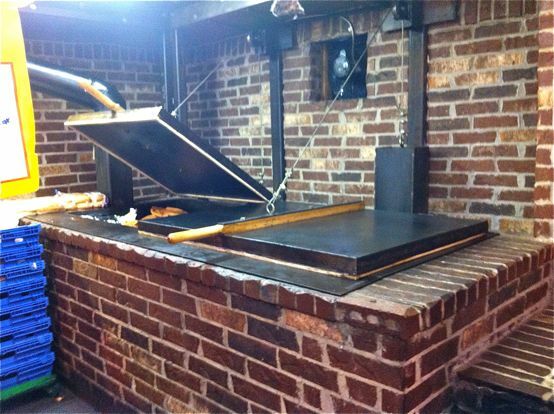 One of their barbecue pits is located at the front of the restaurant. 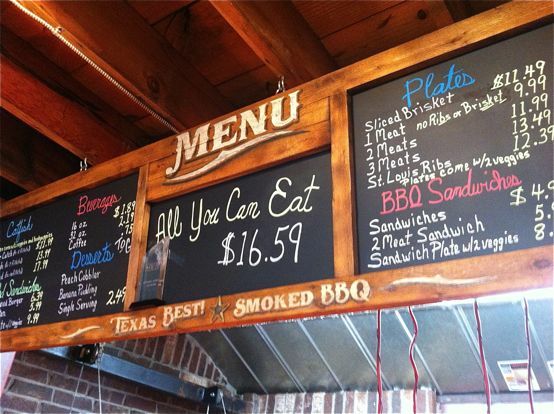 They have various cuts of smoked barbecue meats, as well as fried catfish and hamburgers. 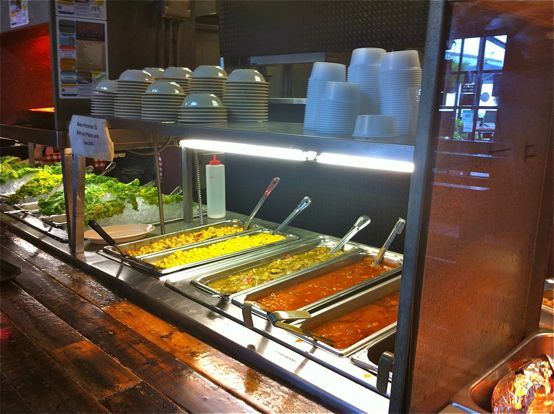 The sides include regular pinto beans, jalapeno pinto beans, potato salad, cole slaw, fried okra, macaroni & cheese, etc. We got there a couple of hours after the lunch rush had already cleared out, so we pretty much had the place to ourselves at first. My mom said that the parking lot was completely full when they passed the place earlier during lunch time. They had a couple of specials running that day, and I chose the hot link sandwich special, which came with two sides for $6.99. 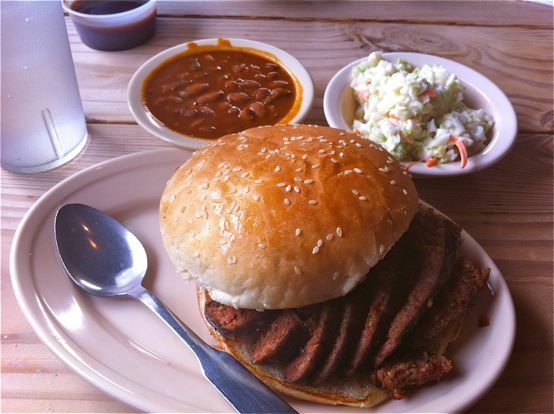 I went with the jalapeno pinto beans and their coleslaw. Just look at that huge serving of meat! They definitely aren’t stingy! The hot link sandwich was very tasty and spicy. The jalapeno beans were pretty spicy too, so my mouth was on fire by the end! Thank goodness, I had the coleslaw to cool my mouth down! Ha! I’ve said before that I’m not a big fan of barbecue, but I REALLY liked this place! I would definitely go back for another hot link sandwich! Are you a barbecue fan? With sauce or without? By Tempie at September 21, 2013 . I love Hutchins! My office is pretty close by, so we get catering from them a lot. I love going into the restaurant too. Delicious BBQ and free peach cobbler, what’s not to love? Lucky you! It really is a great place!